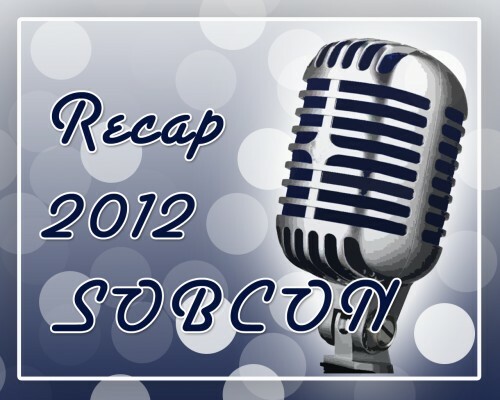 What do you get when you combine a few attendees of SOBCON Chicago 2012 on Blog Talk Radio and combine it with a Google Hangout? This episode. Among the numerous callers/participants were Sean McGinnis, Amber Cleveland, Will English IV and Marti Konstant. The panel discussed highlights of the 2012 Chicago SOBCON including a pop quiz to see how much they remembered. If you’re looking to get some insiders insight into a great conference have a listen. This episode was live on Blog Talk Radio on 6/7/2012. You can also signup to be notified when I have new Podcasts scheduled by clicking the “follow” button for my show on Blog Talk Radio. In Joe's day job he helps manufacturers eliminate waste in their engineering, CNC programming and machining departments. He is currently 2018-2019 chair of the Sacramento Valley SME, an avid Maker and current Mechatronics student.